Radwood is over this year, but that doesn’t mean that it doesn’t live on in our hearts. The Spirit of Rad is always active, even in the dead of winter. 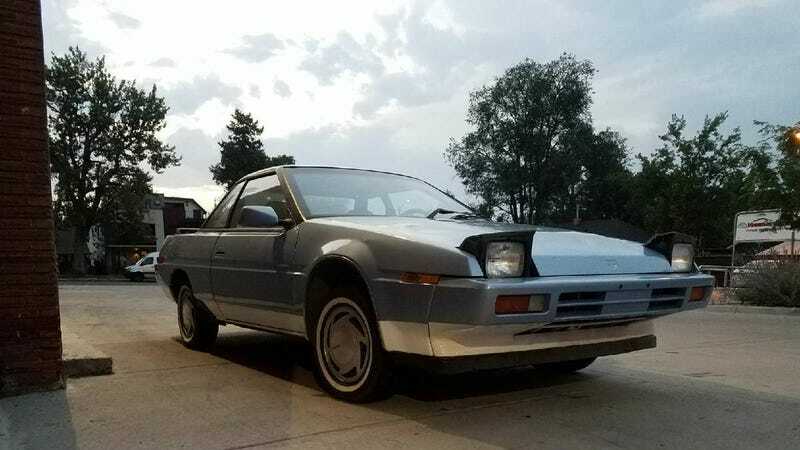 That’s why the Spirit of Rad has bestowed upon us a 1985 Subaru XT Turbo for sale on Craiglist for only $600. Located near Denver, XT needs some work but that may be a small price to pay for a car that looks like a low-res rendering of itself. 1985 Turbo XTs were powered by a 1.8-liter H4 that made around 112 vector graphics horses to the wheels. This serves as a snapshot of a time before Subaru made full time all-wheel drive standard on most models and was available as an option. The XT’s all-wheel drive capability is activated by a button. The dashboard instruments look like they came straight out of a Nintendo Virtual Boy and may be worth the entire cost of the vehicle. The XT does run but the owner notes that it’s in somewhat sad shape. The head gaskets are bad and need replacing and there are some dents that adorn the XT exterior. Are you going to listen when the Spirit of Rad calls you? What do you think? Is this XT not worth all the extra work? Or is it just Rad enough?